tau (τ) is the vector of internal delays in sys. State-space (ss) model to interconnect with internal delays tau. Vector of internal delays of sys. 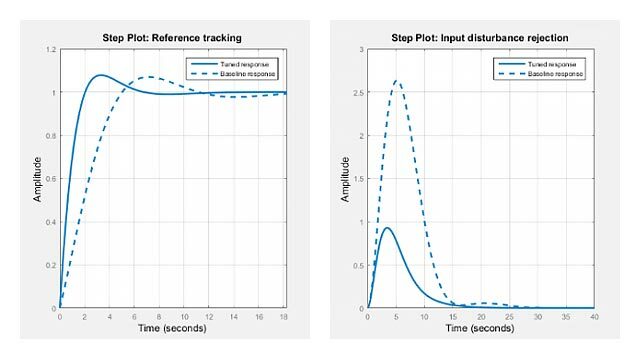 For continuous-time models, express tau in seconds. For discrete-time models, express tau as integer values that represent multiples of the sample time. Set of state-space matrices that, with the internal delay vector tau, explicitly describe the state-space model sys. 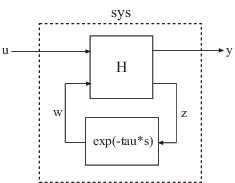 State-space (ss) model with internal delays tau. setDelayModel is an advanced operation and is not the natural way to construct models with internal delays. See Time Delays in Linear Systems for recommended ways of creating internal delays. To do so, first construct sys using sys = setDelayModel(A,B1,B2,C1,C2,D11,D12,D21,D22,tau). Then, use sys.Ts to set the sample time.